BOXING coach Dave Larner thought he was seeing double when another copy of an historic Bognor Regis photo turned up unexpectedly. The 1926 shot of the proud members and officers of Bognor Amateur Boxing Club was uncovered by chance nearly 80 miles away. The surprise uncovering of the black and white photograph came a year after Mr Larner was given his first copy of it. He said: “It is absolutely amazing to have another copy of this photograph so soon after the first one was found. The photograph was taken outside the former Pavilion, built north of Swansea Gardens in 1921. It shows the 35 men associated with the club after what looks to have been a successful season five years later. Two small tables either side of them are crammed with trophies. “I didn’t know the club existed as far back as 1926. Judging by the number of trophies they have won, it looks like they could have been going for a few years by then already. So, the club could be 100 years old now,” said Mr Larner. The latest 10in deep x 12in wide photograph came to light last month and was found in a loft. 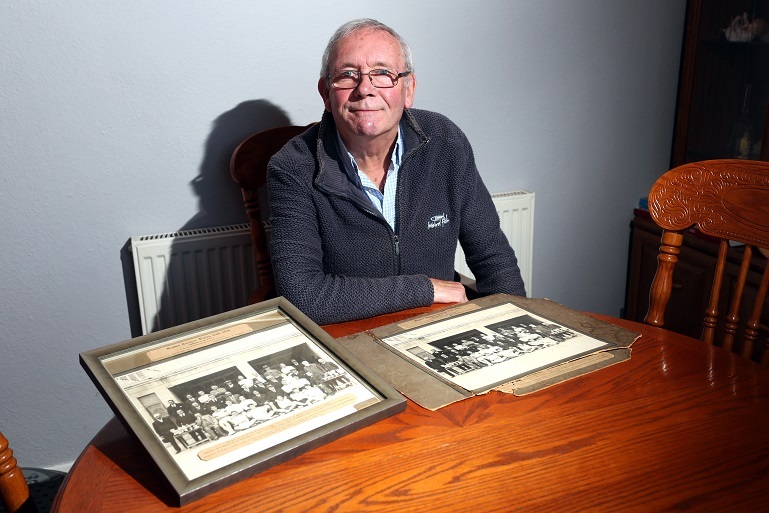 “An Ivor Ford contacted one of the club’s coaches, Paul Mason, saying he had a very old picture of the Bognor Boxing Club taken in 1926 and would the club be interested in seeing it,” said Mr Larner. “Paul said yes and so Mr Ford and his family, who were on holiday in Worthing, made a special journey to Bognor Regis and met Pete Cox, the owner of V/K Gym, and myself. “We chatted about how they found the picture. They, too, were clearing out their loft and found the same picture that is now hanging in pride of place at the gym. Mr Larner, 74, of Hampshire Avenue, said the club had yet to decide how best to display the second copy of the photo. The club is staging the annual boxing night at Butlin’s on November 29 with the town’s Rotary Club. It will consist of 10-12 Sussex versus Surrey bouts and is again set to attract some 300 spectators. Profits will be divided evenly between the two clubs. Tickets, priced £10 each, are available from JW Sports in the High Street.